During last year's Ignite conference, Microsoft CEO Satya Nadella was joined on stage by the CEOs of Adobe and SAP to announce the launch of the Open Data Initiative. The aim of the initiative was to simplify the process of moving data between each company's service by agreeing to a standard data format that would allow customers to move their data out of silos and into a single data lake. At this year's Adobe Summit, the tree companies took the stage again to announce their plans to expand the program as they look to add new partners. Microsoft, Adobe and SAP highlighted the fact that the Open Data Initiative is open to other partners as they announced the formation of a partner advisory council. The new council's first partners include Accenture, Amadeus, Capgemini, Change Healthcare, Cognizant, EY, Finastra, Genesys, Hootsuite, Inmobi, Sprinklr and WPP. This is just the beginning though as the group plans to expand beyond this first set of partners to one day include a much larger group of shareholders. 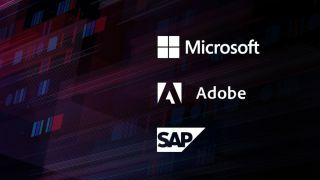 The Open Data Initiative is a collaborative effort by the engineering, sales and product marketing groups of Microsoft, Adobe, SAP and its partners.